Three days ago (July 12), shipping giant Mærsk Line commemorated its 90th year in the business. On that date 90 years ago, its first vessel made a historic voyage that was to become the first of many. And our country, Filipinas, was part of its first ever route! 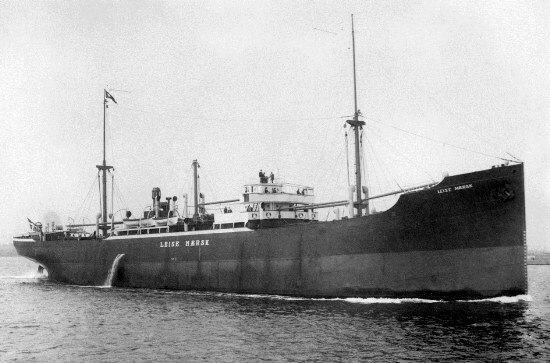 It all began when LEISE MÆRSK, the first diesel motor vessel to enter the Mærsk fleet, sailed from Baltimore, Maryland on 12 July 1928 and made stops for more cargo in New York, New York and Savannah, Georgia. It then passed through the Panamá Canal and made a port of call in San Pedro, Los Ángeles. LEISE MÆRSK arrived in Yokohama, Japan on 10 September and continued to Kobe and Moji before calling Manila and Iloílo in late September. LEISE MÆRSK was the first ship to be used on the USA-Asia route when the company started operations in 1928. It was sunk while sailing under the British flag in November 1940, at the onset of World War II. Mærsk Line’s first route: from Baltimore, Maryland, USA to Iloílo City, Iloílo Province, Filipinas. Today, Mærsk Line has become the largest container shipping company in the world, unequaled by none, and with many shipping brands under its helm, some of which do regular business in our country (MCC, Safmarine, etc. ), thus providing thousands of jobs for Filipinos and even opening up international business opportunities for both exporters and importers. In world history, the route and extent of the Manila-Acapulco Galleon Trade (1565—1815) was considered by historians as the first “global village” in the sense that it reduced the world market into a mere village, i.e., any product can be sold almost anywhere. Today, Mærsk Line has taken over the reins of that fabled galleon trade, connecting virtually all seven continents of the world (yes, the polar regions included) with its varied trade routes. Happy 90th anniversary to Mærsk Line, the crown jewel of A.P. Møller–Mærsk A/S! Source: A.P. Møller–Mærsk A/S website.